As Canada’s population ages and rates of osteoarthritis and obesity continue to rise, patients are waiting longer than the recommended six months for priority procedures such as joint replacement or cataract surgery, according to a new report. The Canadian Institute for Health Information (CIHI) released new data detailing the average wait times for hip and knee replacement, hip fracture repair, cataract surgery, and radiation therapy across the different provinces in 2018. The report did not include data from Canada’s three territories. According to the data, approximately 30 per cent of Canadians are waiting longer than the recommended six months for hip and knee replacements as well as cataract surgery. Tracy Johnson, the director of health system analysis and emerging issues for CIHI, said there are a number of factors that affect a province’s wait times for certain procedures. 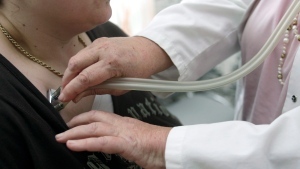 “Things that can affect your wait time are the number of doctors, the number of hospital beds, the funding for surgery, even the increased demand for some procedures,” she told CTV’s Your Morning on Thursday. Even if they’re not life-saving procedures, Johnson said lengthy wait times can have a significant impact on patient’s mental well-being. “What we know is that waiting can cause anxiety, it can cause emotional challenges, and if you’re unable to work, there are likely economic challenges,” she explained. According to CIHI’s findings, patients received urgent procedures such as a hip fracture repair and radiation therapy in a timely manner within the recommended wait times. However, the data reveals a different story for those in line for hip and knee replacements as well as cataract surgeries. 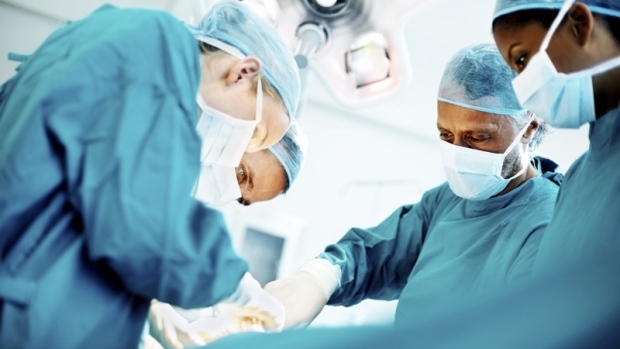 The CIHI said only two provinces – British Columbia and Newfoundland and Labrador – were able to improve wait times for hip replacement surgeries in 2018. In British Columbia, 67 per cent of patients were able to receive their hip replacement surgery within the benchmark of six months, a patient increase of 6 per cent from two years before. For Newfoundland and Labrador, 88 per cent of patients received the surgery within six months, an 11 per cent increase in patients from 2016. On the end of the spectrum, Prince Edward Island saw the largest increase in wait times for hip replacement procedures. The province experienced an 18 per cent increase from 2016 to 2018. In Ontario, Quebec, New Brunswick, and Nova Scotia, wait times for hip replacement surgeries remained stable or only slightly increased in the past two years. For knee replacement surgeries, the CIHI said only three provinces – Newfoundland and Labrador, Nova Scotia, and British Columbia – were able to slightly decrease their wait times for the procedure. Notably, Prince Edward Island again saw the largest increase in wait times from 2016. The wait for knee replacement patients went up 41 per cent from 2016 to 2018. Manitoba, too, saw longer wait times for knee replacement patients in 2018. Waits increased 21 per cent in 2018 from two years earlier. In fact, a whopping 90 per cent of patients in Manitoba received their knee replacement procedure within a year and two months. Unlike the recommended wait time of six months for hip and knee replacement procedures, the benchmark length for cataract surgeries is three months, according to CIHI. In 2018, Quebec had the highest percentage (83 per cent) of cataract patients receiving the surgery within the three months. Manitoba, on the other hand, had the lowest percentage (29 per cent) of patients getting in to receive cataract surgery in 2018. Johnson said addressing healthcare wait times is a “complex problem” faced by providers all over the world. “In Canada, we have 10 different health systems and the root cause of some of these waits across them may be different because we deliver care slightly differently across the provinces,” she said. Additionally, Johnson said longer wait times for these types of surgeries will become an increasing problem as Canada’s population ages and rates of conditions such as osteoarthritis and obesity rise, leading to higher demand for joint replacement procedures. Johnson said most hospitals have a lot of information about their specific wait times for certain procedures for Canadians concerned about the process. For more information about wait times in specific provinces, CIHI’s Wait Times tool is available on their website. The CIHI says approximately 30 per cent of Canadians are waiting longer than the recommended amount of six months for priority procedures such as joint replacement or cataract surgery.